This week, Andy Aoki, department chair of political science and Sabo fellow at Augsburg College, appeared on Political Insider, a weekly news segment on KSTP. Aoki joined Joe Pescek, a Hamline Univeristy faculty member, and provided input on a variety of local and national political stories including President-Elect Donald Trump’s social media commentary and a potential career move for U.S. Rep. Keith Ellison. Watch: “Political Insider: Keith Ellison DNC Chair Interest, Vikings Suite Audit” on the KSTP site. WCCO TV recently sought counsel from Andy Aoki, professor and department chair of political science at Augsburg College, to answer a question about how much a presidential candidate’s vice president selection influences voters. “How Much Does The Vice President Pick Matter?” was the focus of the recent Good Question segment. Aoki provided a straightforward answer. “It doesn’t usually matter a lot,” he said. “The vice presidents tend to get a lot less attention, so it’s not that easy for people to make their pick based on them because you don’t know much about them. Read and watch the Good Question segment on the WCCO site. 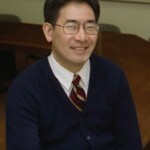 WCCO recently sought counsel from Andy Aoki, professor and department chair of political science at Augsburg College, to answer a viewer’s question about the timing of the New Hampshire Primary and the Iowa Caucus. “Why do Iowa and New Hampshire vote first?” was the focus of the recent Good Question segment. “Today, they’re first because they want to be,” he said before explaining the history of the events in more detail. The segment goes on to explain how the advent of television turned the previously ignored New Hampshire primary into a nation-wide media spectacle. This prompted the state to pass a law requiring that they remain the first to select a candidate. How did Iowa end up voting earlier? “Technically, New Hampshire is the first primary and Iowa is the first caucus, so they’ve worked out a little agreement,” Aoki explained. Read and watch: Good Question: Why Do Iowa & New Hampshire Vote First? on the WCCO site. 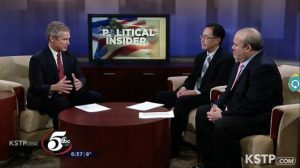 This month, Andy Aoki, department chair of political science and Sabo fellow at Augsburg College, appeared on Political Insider, a weekly news segment on KSTP. 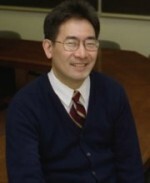 Aoki joined Joe Pescek, a Hamline Univeristy faculty member, and provided input on a variety of local and national political stories including Gov. Mark Dayton’s request for a special legislative session. Watch: Political Insider: US Presidential Campaign, Infrastructure and Economy in Minn. on the KSTP site. To arrange interviews with Adamo or Aoki, please contact Stephanie Weiss, director of news and media services, at 612.330.1476 or by email at weisss@augsburg.edu. Augsburg College is set in a vibrant neighborhood at the heart of the Twin Cities, and offers more than 50 undergraduate majors and nine graduate degrees to nearly 4,000 students of diverse backgrounds. Augsburg College educates students to be informed citizens, thoughtful stewards, critical thinkers, and responsible leaders. The Augsburg experience is supported by an engaged community committed to intentional diversity in its life and work. An Augsburg education is defined by excellence in the liberal arts and professional studies, guided by the faith and values of the Lutheran church, and shaped by its urban and global settings. 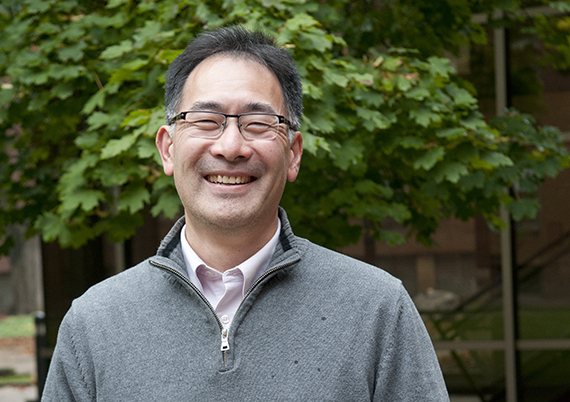 Political Science Professor Andy Aoki spoke to WCCO’s John Lauritsen about whether economic sanctions are a strategy that governments can use to change behavior by others. Aoki told the “Good Question” reporter that actions by the United States to freeze assets of some Russian defense companies and to block financing of that country’s banks and energy companies could create enough pain over the long run that Russia will change its behavior. Watch the WCCO “Good Question” interview to hear more of Aoki’s perspective on sanctions against Russia and other countries.